Preamble are adopted. Resolution adopted supporting the Boy Scouts of America as first youth group. August 9, 1921 U.S. Veterans Bureau, forerunner of the Veterans Administration, is created as a result of efforts by The American Legion. 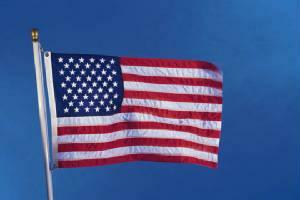 June 15, 1923 First "Flag Code" is drafted during conference called by The American Legion. Congress adopted the code in 1942. July 17, 1925 American Legion Baseball program is created. July 23, 1935 First American Legion Boys State convenes in Springfield, Ill.
June 1, 1938 First American Legion National High School Oratorical Championship held in Norman Okla.
Sept.19-21,1942 Preamble to the Constitution of The American Legion is changed for the first time and only time since it was written in 1919. The word "War" is changed to "Wars"
Dec 15,1943 Harry W. Colmery, past national commander of The American Legion, writes in longhand on hotel stationery the first draft of what will become the "GI Bill of Rights." June 22, 1944 President Franklin Roosevelt signs the GI BILL into law. May 29, 1946 a $50,000 grant from The American Legion and the American Legion Auxiliary is presented to a small struggling organization - the American Heart Association - to inaugurate a nationwide program for the study, prevention and treatment of rheumatic heart disease. May 4, 1950 The American Legion votes to contribute funds to the field of mental health with the provision that three major mental health organizations then in existence be amalgamated into one. They accepted this provision and the National Association of Mental Health was born. July 9, 1954 The American Legion Child Welfare Foundation is formed. Sept. 1, 1966 The American Legion voices great concern over the fate of POW's in Vietnam. Aug. 26, 1982 The American Legion presents a $1million check to the Vietnam Veterans Memorial Fund toward the construction of "The Wall" in Washington, D.C.
Jan. 1, 1983 The Department of Veterans Affairs begins operations. The American Legion fought for the VA to become a cabinet-level department. Oct. 16, 1989 Longstanding objective of The American Legion is achieved as the U.S. Court of Veterans Appeals begins operation. Oct. 11, 1990 The Family Support Network of The American Legion is formed to assist the families of military personnel deployed during Operation Desert Shield/Desert Storm. June 15, 1991 The American Legion's first Junior Shooting Sports National Air Rife Championships are held at the Olympic Training Center at Colorado Springs, Colo.
Sept. 24, 1994 The American Legion announces partnership with the Smithsonian Institute's Air and Space Museum to develop an exhibit for the bomber Enola Gay, which dropped the atomic bomb on Hiroshima, Japan. Previous museum plans had drawn intense criticism from veterans,scholars and the public. Jan. 30, 1995 The American Legion announces acceptance of a scaled-down exhibit "without political commentary" for the Enola Gay, ending the greatest controversy in the Smithsonian Institute's 149-year history. Oct 1,1995 The American Legion forms a Persian Gulf Task Force to enhance the organization's service to these veterans. Sept. 16,1996 The first $20,000 post secondary scholarship in the Samsung-American Legion High School Scholars program are granted to 10 students. June 11,1997 The American Legion National Emergency Fund exceeds the $1million mark in grants to flood victims in Ohio, Kentucky, Minnesota, and North Dakota. Sept. 3,1997 The first National Law Enforcement Office of the Year award is presented during the 79th National Convention in Orlando, Fla.
March 28, 2000 The American Legion, the American Legion Auxiliary and the Sons of The American Legion donated $2.7 million to the World War II Memorial Fund. Donations exceed 3.4 million by year end. Sept. 5 2000 The American Legion presents the first "Spirit of Service" Awards to active service members for their off-duty volunteer activities. Aug. 28-30 2001 The American Legion passes to rekindle Blue Star Service Banner program. Sept.12, 2001 The American Legion reactivates the Family Support Network following terrorist attacks in New York City and Washington D.C.
Oct. 10-11 2001 The American Legion creates the American Legacy Scholarship Fund for children of military members killed on active duty on or after Sept. 11, 2001. Sept. 11, 2002 The American Legion takes lead in conducting "A Day To Remember" events to mark the anniversary of the attacks on the nation. Nov. 8, 2002 The American Legion launches national "I Am Not A Number" campaign to identify and document the delays veterans face in obtaining earned medical care from the Department of Veterans Affairs. Oct. 17, 2003 American Legion efforts on Capitol Hill break the deadlock on the Disabled Veterans Tax when Congress creates a 10-year phase-in for service-connected disabled retirees to receive military pay and VA disability without subtraction from either. Legion efforts also result in passage of the Military Family Tax Relief Act. Sept. 3, 2004 American Legion lobbying leads to more progress in elimination of the Disable Veterans Tax with the passage of PL 108-375 that eliminates the 10-year phase-in for 100 percent service-connected retirees, allowing them to immediately begin receiving both retired pay and VA disability payments. Sept.19, 2004 The American Legion launches the Blue Star Salute, public events where posts across the country recognize troops, their families and local business on Arm Forces Day. May 7, 2005 The American Legion lobbied successfully to remove from VA funding legislation administration-proposed increases in VA prescription co-payment and institution of user fee for Priority Group 8 veterans using VA health facilities. June 30, 2008 President George W. Bush signs Post 9-11 Veterans Education Assistance Act, a modern GI Bill strongly supported by The American Legion, which lobbied in its behalf. a formula that The American Legion has strongly supported for many years. The new law sets funding for VA one year in advance. finishes in first place in Pepsi's Refresh Everything Project, a national Internet voting competition. As the top vote recipient, Operation Comfort Warriors won a $250,000.00 grant to purchase gifts and recreational items for U.S. military members recovering in hospitals and warrior transition units around the globe.